Gobble Gobble!! 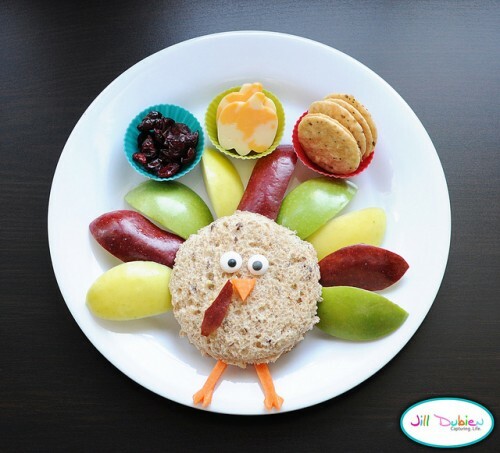 It is time to start thinking about your Thanksgiving dinner menu if you haven't already, and why you prepare your recipes and shopping lists for the big day, you can start getting your kids excited with some fun Thanksgiving themed treats. This fun Thanksgiving lunch from Jill Dubien is a great place to start. How fun would it be to find this cute guy on your lunch plate. 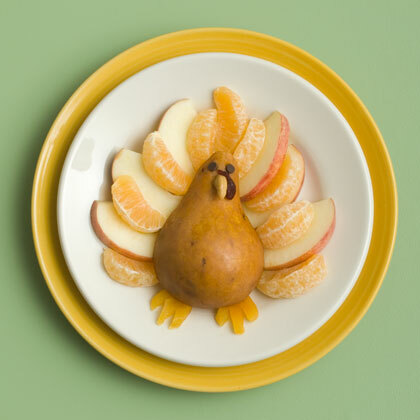 or a fruit turkey with with pears and oranges slices. Both of which will make a cute addition to your Thanksiging table too, if you are looking for something fun for the kids table. 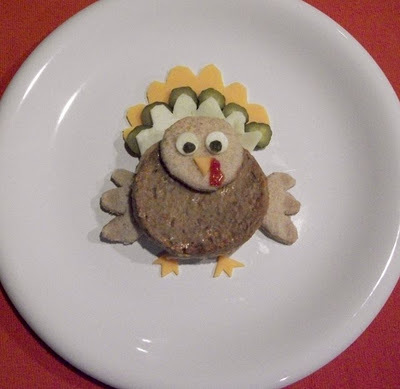 And if you are looking for a kid friendly dinner to serve before Thanksgiving or an fun way to get your kids to try a turkey burger, try the turkey turkey burger from Kitchen Fun With My 3 Sons. so cute and looks so tasty!! !